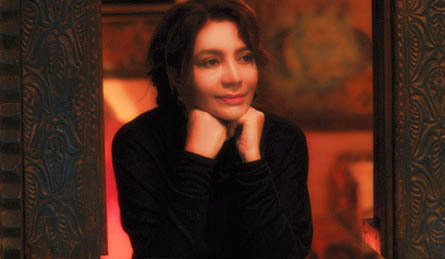 "l`ve always wanted to paint but I never had the time. I did about ten paintings in twenty, years, but this work has all been done in the last five months," explains the artist. “I'm not satisfied with my work, I don't think any artist is, but this is a beginning. Right now l`m still a curiosity, so I haven't really found out if I`m any good." 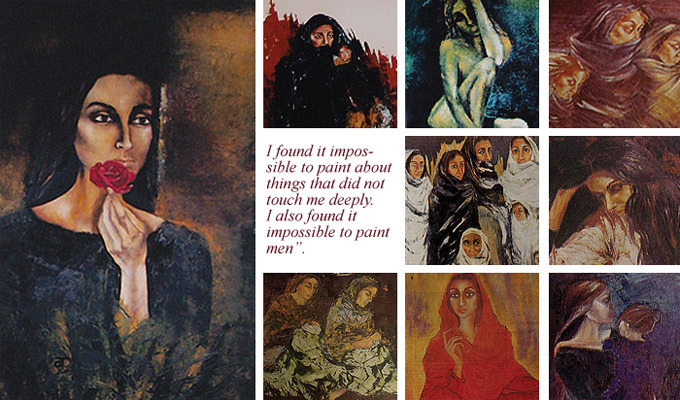 "My paintings are for those too distant from the reality of the poor. The poor don't need to see more of their own anguish." "My paintings are not for those who want to buy a decoration piece that matches their sofa-sets. I think my paintings are depressing and morbile, they're only for those who are even remotely interested in any form of humanity"
Probably this is the reason there was not a single man painted by her. However, in all probability, it is a man who touched her so deeply. She wrote a book and painted so many “pains” --- all because someone had touched her deeply though negatively. Three points were very conspicuous in the paintings. 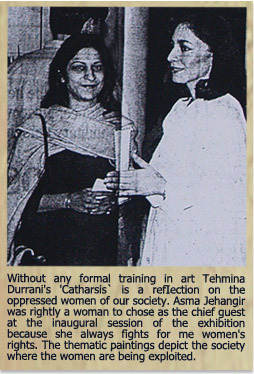 First, the technique employed by Tehmina was impressionistic, second, most of the women painted were no other than herself. Third, characters painted were pale. Last, and definitely the most important point to note was that with exception of probably a painting or two, all the portraits were grafted in the feudal context. Beauty lies in the beholders eyes, they say. It is not only nascent beauty that one sees in great maserpieces of the world but what is so artistically portrayed by the author in them. Look again, perceive the eternal pain embedded in the hollow depression of their vacant eyes, seeing far ahead into nothingness with her nostalgic hindsight of what has become of what it was and of what it was hoped to be against all hopes! The beads of tears mingled with the wrinkled petals of erstwhile rosy faces, crowned with deep lines of thought and wisdom gained through the ages, enshrined in the skeleton of their ethereal bodies tell the tale of grandeur and excellence, magically created by an artist of lofty merit, who, any discerning soul would perceive could never have achieved such heights of urrveiing the cascade of human suffering and agony unless she had herself suffered and even felt an unaccountable ague while transforming her heart out on the aisle with a trembling hand! Has the artist written this poetry with the brush to portray the infinite sufferings of eve at the hands of what the adam would never have done i.e the man of today, their tormentor, a conceited demi god who relished in inflicting injuries on the suffering female to add a dash of insult here and there to make his handy work more spicy? Or is it that she has depicted a sombre picture of a woman in chainst through her own eyes as visualised ex the aperture windows of her own home. 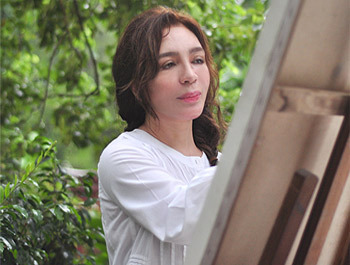 The grand master Tehmina Durrani right from the inception has created a maserpiece or rather to take them together rnasterpieces, as was witnessed in "Catharsis" the exhibition of her paintings at Nairang Galleries Saturday.